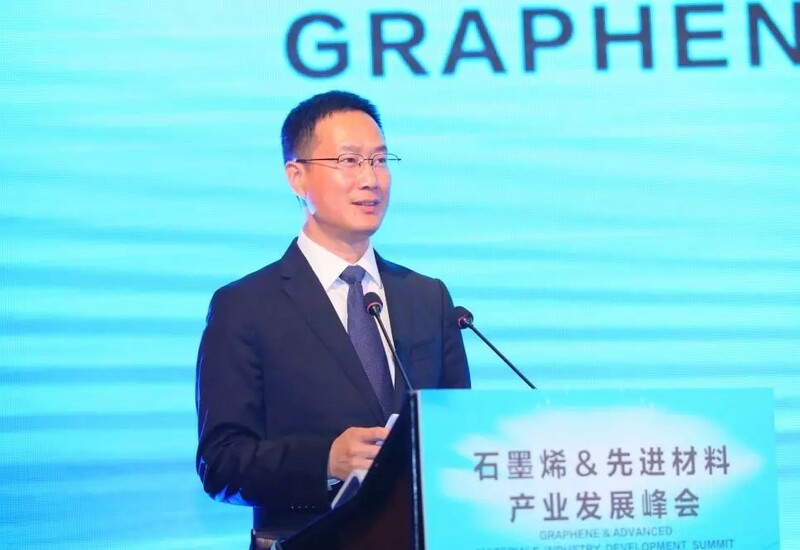 On the afternoon of July 19th, Graphene & Advanced Materials Industry Development Summit, which was undertook by CIGIU, was successfully held in Jinjiang Hotel, Chengdu. The summit invited more than 100 experts and scholars from home and abroad. Domestic well-known graphene entrepreneurs and leaders of relevant departments were also invited. CIGIU’s Chairman Zhang Jing’an, Executive Vice Chairman Dong Zhaoxiang and Permanent Vice Chairman Ruan Ruxiang attended the summit. 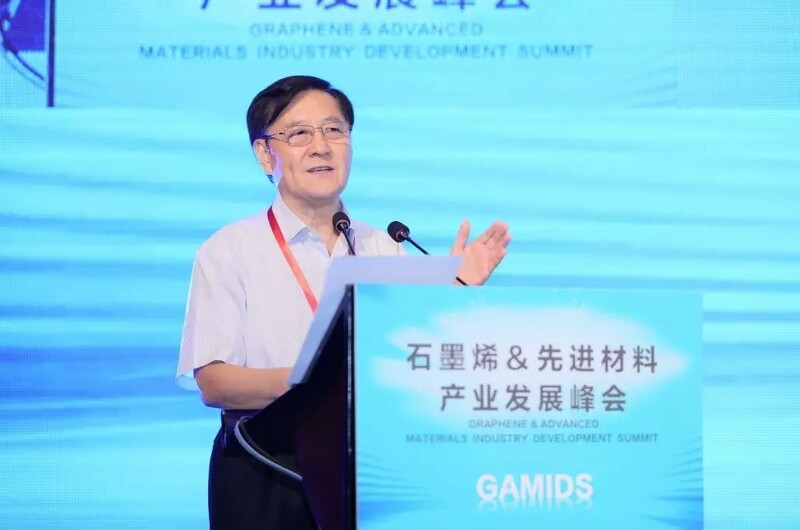 Academician Gan Yong, Director of the Expert Advisory Committee of National New Materials Industry Development Leading Group, delivered a speech at the summit. 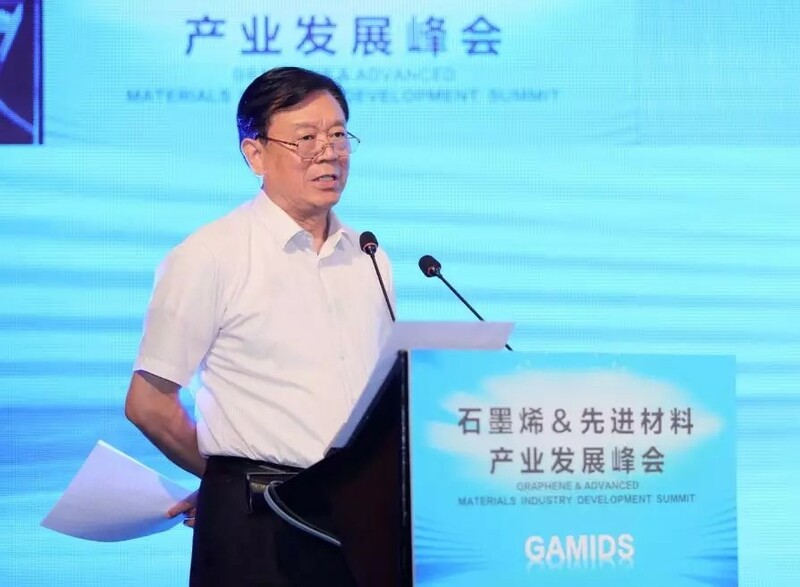 He put forward demands on how to promote the healthy development of the new materials industry, pointed out that it was necessary to adhere to demand-leading and innovation-driven, to insist on the combination of production and use, and to give full play to the excellent performance of advanced materials. It was expected that Sichuan will become an example in industrial upgrading and transformation. Furthermore, he gave full affirmation to the work of CIGIU. He hoped that CIGIU could continue to play a correct guiding role of think tanks and do more to help the development of graphene and advanced materials in China. Zhang Jing’an, Chairman of CIGIU, delivered a speech. He expressed that as a bridge and link to promote the development of graphene and new materials industry, CIGIU aims to promote the healthy development of the industry, and to build an international platform for technology, capital and industrial transformation to make bigger contribution to the development of the industry. William Liu, Secretary-General of CIGIU, presided over the keynote speech and the theme discussion. Ruan Ruxiang, Permanent Vice Chairman of CIGIU, and Liang Zheng, Secretary-General of International Standards Working Committee, discussed on the planning of new material industry clusters, park construction, international cooperation and technology transformation, and gave suggestions to develop new materials industry in Chengdu, Sichuan. After the summit, CIGIU, Shenzhen KEYWO High-tech Industry Development Co., Ltd., International China Investment Private Limited and Shenzhen Keytone Investment & Venture Capital Co., Ltd signed China-India Sci-tech Innovation-Letter of Intent on Development Funds Cooperation for the Advanced Materials Industry in Chengdu. The successful holding of the summit was of great significance to the regional economic development and the industrial ecosystem improvement of Chengdu City, which also strengthened the city's competitiveness.